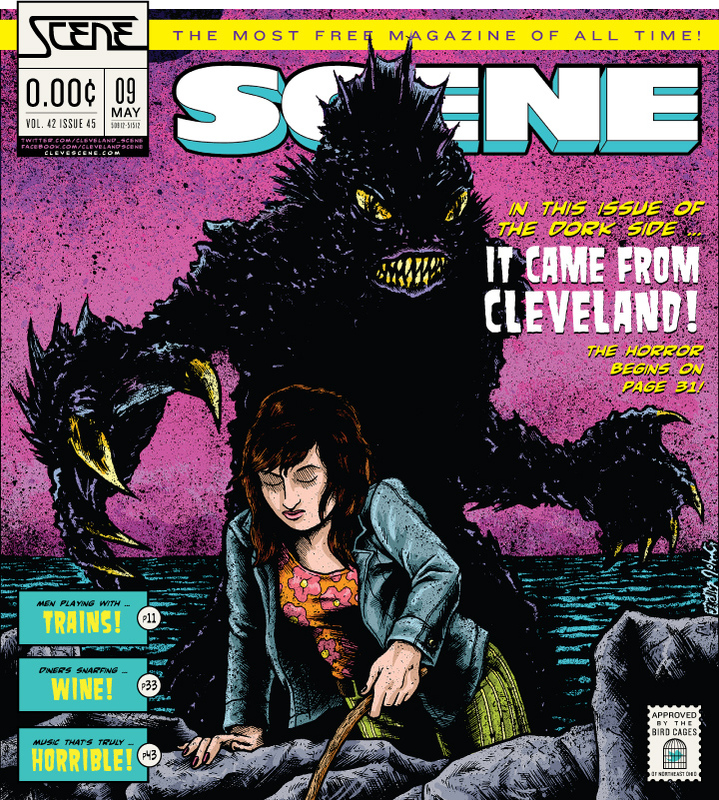 The Lake Erie Monster is featured on the cover of this week’s Cleveland Scene Magazine! We made it into this week’s From The Dork Side column by Michael Gallucci! Read the article here: It Came From Cleveland! Big huge thanks to our dude Aaron Sechrist for doing such an incredible design treatment with our cover art! Check out his own website: OKPants.com! For new visitors to the site, the best way to grab a copy is by hitting up one of our local retailers we’ve got listed HERE: Buy The Comic! For anybody not local to Cleveland, the best way is still to order it by way of the Shiner Comics Store. We are still working on getting a digital version available, but it should in the next few days!